With help from a WestJet promo code, there are non-stop flights from Vancouver to Honolulu, Hawaii for $344 CAD roundtrip including taxes. 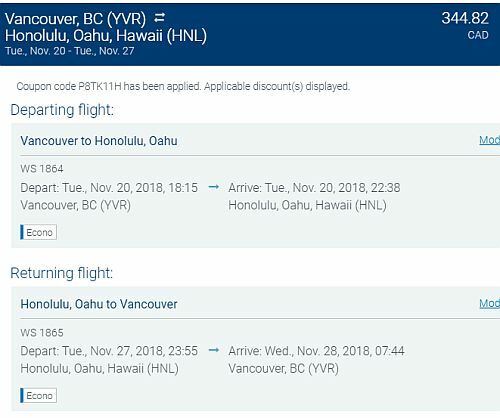 This is a new record for the cheapest non-stop flights from Vancouver to Honolulu. You may also be able to find a few cheap ones to Kauai, Kona, or Maui. 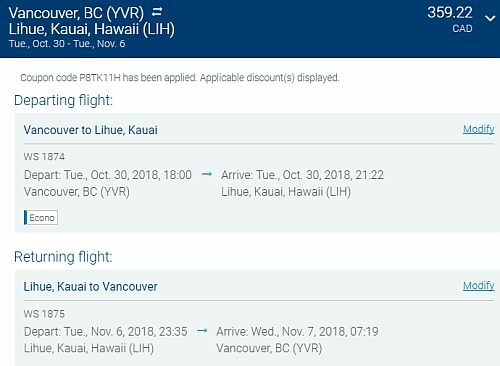 You can also find flights in January and February 2019 from Vancouver to Honolulu for $399 CAD roundtrip (but the promo code only applies to flights up to December 19th). 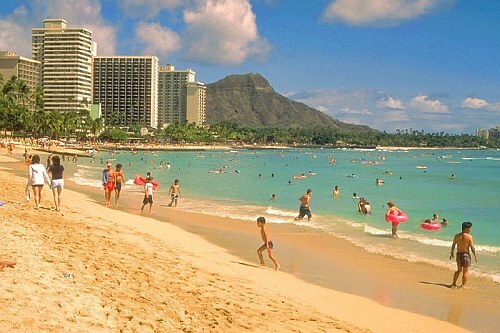 - Look for the dates that are $399 roundtrip (Honolulu). Coupon code P8TK11H should be applied automatically. vancouver, yvr, flight deals, honolulu, hawaii, hnl, westjet, united states, kauai, lih, kona, koa and north america. 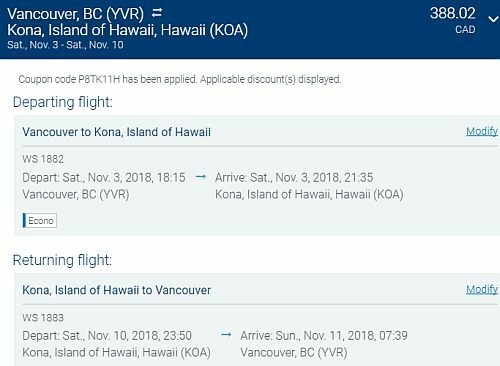 2 Responses to "Vancouver to Honolulu, Hawaii - $344 CAD roundtrip including taxes | non-stop flights (new record)"
Feb 26th to March 5th for $399.